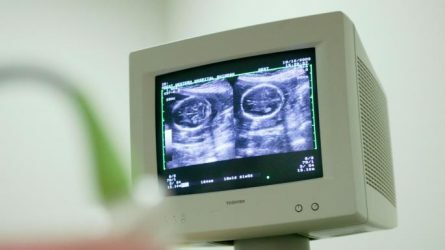 A lack of access to crucial ultrasound scans for pregnant women across Ireland has not improved in more than a decade, a study has found. Last year 23,800 Irish women did not receive a 20-week foetal anomaly scan because of a lack of resources. Experts at Cork University Maternity Hospital have said the government must prove that it is serious about investing in women’s healthcare. The procedure, which is routinely offered to all women in most OECD countries, is used to identify complications or problems with a pregnancy. Obstetricians have warned that failing to offer the scan will lead to avoidable deaths of newborn babies. The first National Maternity Strategy, announced last year, recommended universal access to the procedure but there has been no improvement in access since. The Department of Health has been unable to confirm any extra spending being allocated to improving access. Five maternity hospitals do not offer the procedure at all, despite the fact that every maternity hospital in the country has the equipment required to carry out the scans. Seven hospitals offer the procedure to some women based on their age or any complications with previous pregnancies. Experts have repeatedly warned that such a method will result in babies dying because complications that could have been spotted sooner are not identified until birth, particularly for first-time mothers. “It is disappointing to conclude that our study findings reflect those of the previous two national ultrasound surveys [in 2007 and 2012] and confirm that there has been no expansion in Irish maternity ultrasound services in the last decade,” the report said. “If we are serious about equity of care and access to specialist services for all Irish women, regardless of geographical location or financial means, there must now be substantial investment by healthcare policymakers. Louise Kenny, professor of obstetrics at University College Cork and one of the authors of the study, said that the research was carried out because the HSE had failed to gather statistics on how many women were receiving the scan, despite widespread concern about the lack of access. She calculated that 230 cases of foetal anomalies would be missed every year that the scan is not available to all women. The government has provided €6.8 million for maternity services in 2017 but none of the money has been allocated to increasing access to scans. In March the government blocked an attempt to give every woman in the country access to the ultrasound scan because of a lack of resources. The 1970 Health Act stated that patients were entitled to free tests to establish the presence of a disease, defect or condition. Sean Sherlock, the Labour TD, attempted to pass an amendment that would make specific reference to maternity scans.